"On my world it means hope." Only 35 days to go. We've been throwing up endless marketing material for Zack Snyder's Man of Steel, since Warner Bros is in the last 5 weeks of promotion and they're going all out. 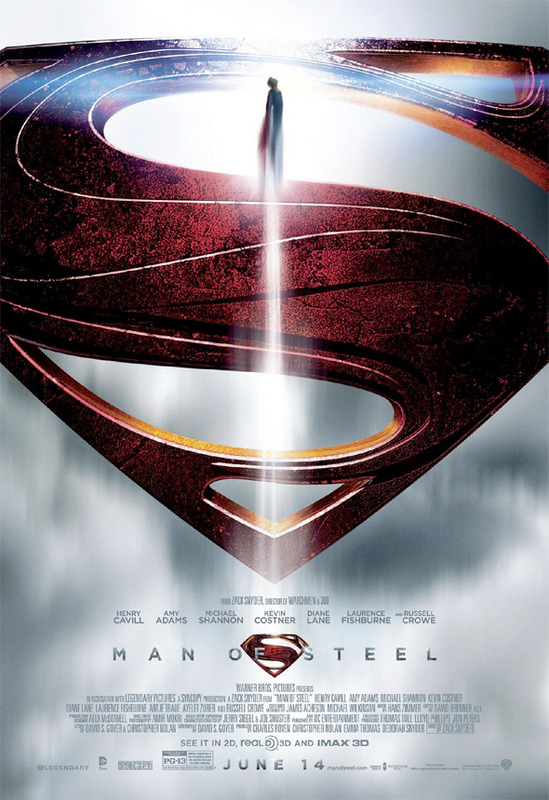 While we've seen some excellent promo banners and other sales art, this final poster comes direct from the Man of Steel twitter and is the big pay off, with the Superman S symbol up front and center. Pretty much as big as they can get it without it being too big. It's combined with that supersonic flying image to finish what is an impressive poster. I like the look of it, epic, fitting for this grand return of the Big Blue Boyscout. Update! Another new poster has arrived via twitter, this time with the message: "He will be a god to them." If you haven't watched the final trailer yet, be sure to see it here. Arriving in theaters in only 35 more days. Beautiful. I'm hammered as hell, actually. What's wrong with your face???!! He like to go fast. It reminds me of the Green Lantern film starring Ryan Reynolds. why does the light beam look like a cross?? 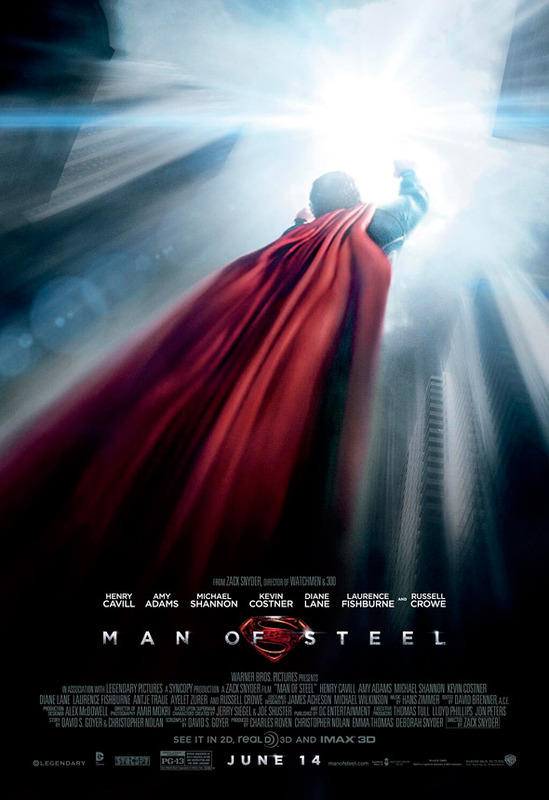 in a trailer superman has his arms like a cross in the sky? Is it another hidden message?? Cliche Messiah theme. Zack is such a hack. Goyer too. It's gonna be good. It's got to be good. I really hope it's good. Kal el come quickly!! Save the action movie business from the crap that was iron man! Is it me or are most of the posters and banners just stills from the trailers/movie? WB needs to fire their marketing department. While they're at it they need to clean house and fire all the dead weight VP's and Presidents. Par it down. Simplify. Make it more like Google. Lean and mean. Obviously photoshopped posters containing light flares that people actually like (including me). Well done WB.